A Kiwi has won, a date’s been set for next year and movie star Don Cheadle plans coming back. So it’s a much better than par result for golf’s inaugural New Zealand PGA Pro-Am Championship at The Hills near Arrowtown. Kiwi Michael Hendry, after a seven-shot shocker on the par-three 16th, managed to hang tough for the win to finish two shots clear on 16-under. Hendry pocketed $81,000 for his troubles. 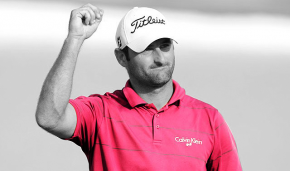 Fellow Kiwi Mark Brown tied for second with Australian Andrew Martin, both on 14-under. Hendry had looked on track for a comfortable victory, leading by three shots with four holes to play. However, he quadruple-bogeyed the 16th to slip one behind Martin. Hendry managed to keep it together to birdie the next hole and saved par on the final 18th before a nervous wait while Martin finished his round. Martin carded bogies for each of the last two holes to drop off the pace.